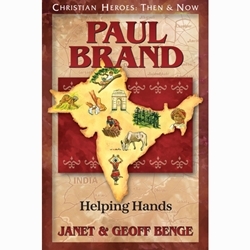 Watching his father perform medical procedures back in India had convinced Paul that medicine was about blood and guts and ulcers. To his amazement, he found that it was really about causes and cures, alleviating pain, and treating ill people with dignity. The son of missionary parents, Paul Brand did not plan on becoming a doctor. After training as a builder, he was called by God into medicine and spent a lifetime treating leprosy and restoring hope to thousands of sufferers.